The town of Arondizuogu is located in Imo state. 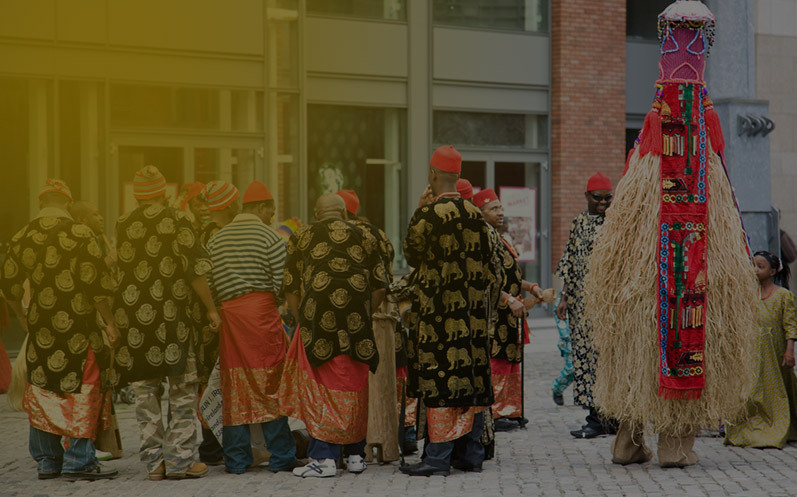 The Ikeji Festival has so many origins which has over the years changed with the times. The Ikeji festival is celebrated by all the “Aro’s” in the Igboland such as the Arochukwu, Arondizuogu and Aro Ajalli. Ikeji meaning “The Power That Holds The Yam”. The event usually falls on the Easter period which allows indigenes from far and wide to come and celebrate with the Ikeji Festival. The festival usually features, Initiation into the Mmomwu Society, Masquerading or Oso Mmonwo and the Sacrifices before the festival.